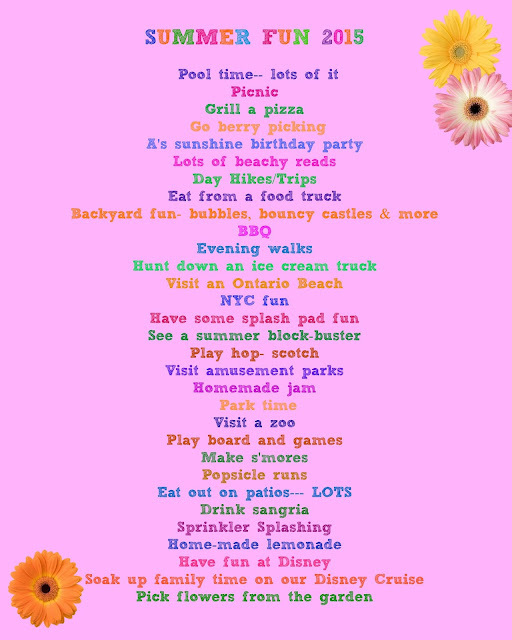 Yeah, now that almost a month of summer has passed, I've finally put together our family's summer bucket list on Picmonkey and thrown a couple flowers on my graphic for good measure as well…. Things to do, people to meet, places to see…. no wonder this mama's tired. (a very belated) Cheers to a wonderful summer! WOW! I need to copy this list - so many great ideas!!! Emphasis on the sangria over here ... lol. Love this!! SO many fun activities to do in the summer! Your list sounds perfect, definitely worth the wait! Im excited for all your Disney fun, cant wait to hear more about those! Great summer list! We want to do a lot of the same things too! Such a cute summer bucket list!! What a great idea! Thanks for sharing! Better late than never! Your list is pretty fantastic!